Republican budget leaders say the Wisconsin Senate and Assembly will not advance the part of Gov. 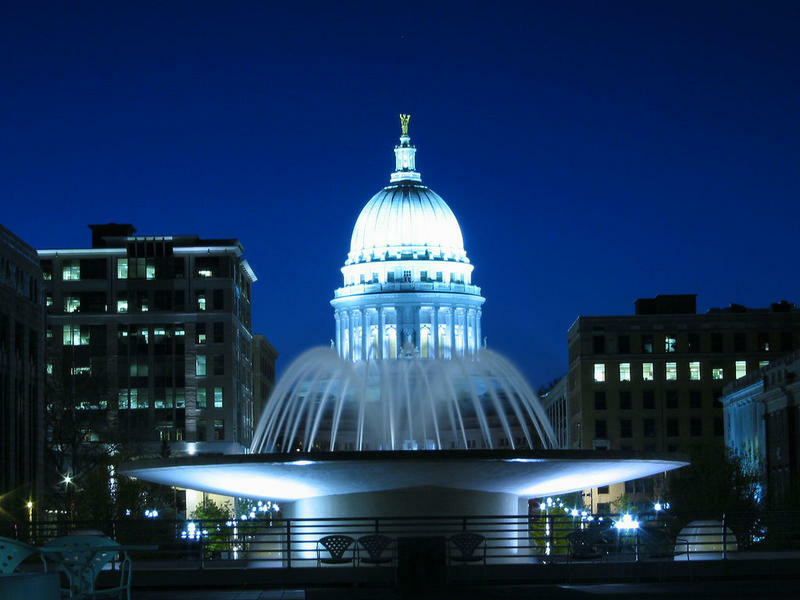 Walker's budget that would give the UW System independence from state oversight. Sen. Alberta Darling and Rep. John Nygren say they also want to restore some of the $300 million Walker would cut from the system's budget, depending on new state revenue projections. The tally on tax collections should be forthcoming soon. 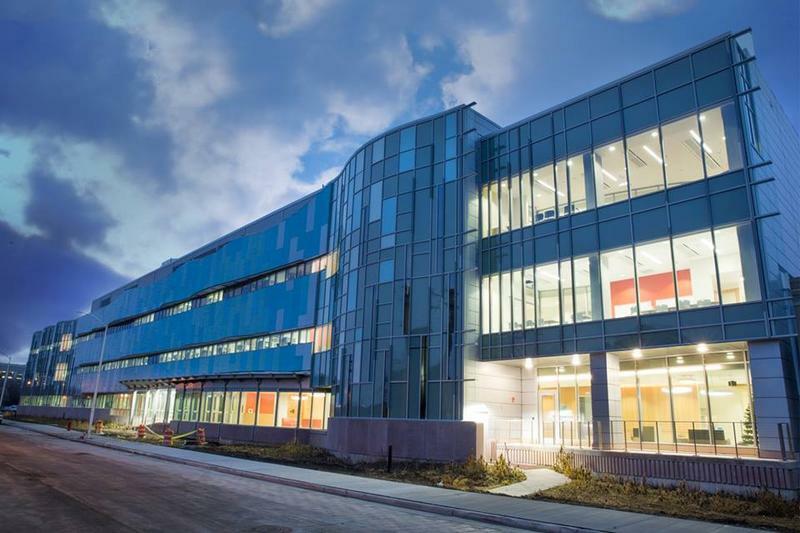 In anticipation of state budget cuts, University of Wisconsin Chancellor Rebecca Blank says the flagship campus will have to eliminate approximately 400 positions and end some programs and restructure others. She specifically cites the fields of information technology, agriculture and the arts. Gov. Walker cuts state funding for the UW System by $300 million in his two-year budget proposal. Republican leaders say they hope to reduce the cuts, particularly if state revenue increases by the end of the current fiscal year. The Legislature’s budget committee, on Wednesday, began digging into Gov. Walker’s proposed budget for Wisconsin. Before the meeting, Republican leaders removed 14 policy items the governor had tucked into his plan. 14 of 49. Among those removed was Walker’s proposal to make the Natural Resources Board an advisory one. The UW Board of Regents began a two-day meeting in Waukesha on Thursday. They heard from UW System President Ray Cross, who told regents he’s making progress in swaying legislators, on the next two-year state budget. Cross is working to convince lawmakers not to go ahead with Gov. Scott Walker’s proposal, to strip $300 million from the system in the next two years. Cross wants a smaller cut, in addition to greater autonomy for the system. Conservation education dates back to 1935 in Wisconsin. That’s when state law required that grade and high school students learn about natural resources. 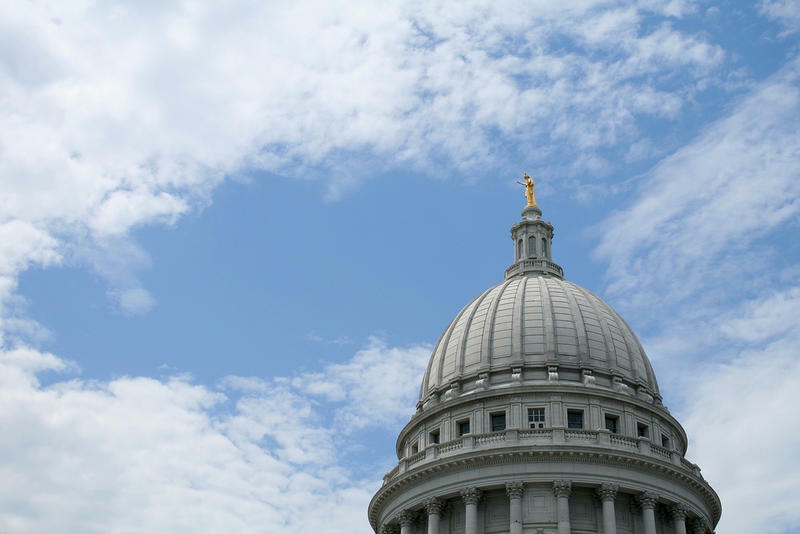 With debate over the state budget continuing, Wisconsin legislators are hearing from public school administrators around the state who are concerned about significant proposed cuts to K-12 education spending. But funding is not the only hot-button education issue on the legislature's agenda. There are also debates over standardized testing, Common Core standards, integration programs, and voucher and charter schools. How Do Wisconsin's Natural Resources Hold Up Under Gov. Walker's Proposed Budget? During the first public hearing, the Joint Finance Committee heard citizens express their concerns about cuts to education, changes to the state’s long-term care program and funding for transportation projects. Occasional comments about the environment were sprinkled throughout the hour-upon-hour of testimony. Republican leaders say Gov. Walker's budget proposals to help fund a new basketball arena and reshape UW System stand little chance of passage. Wisconsin lawmakers on Wednesday kicked off the first public hearing across the state on Gov. Walker’s proposed budget. At the forefront of concern were cuts to education and programs that serve seniors and people with disabilities. 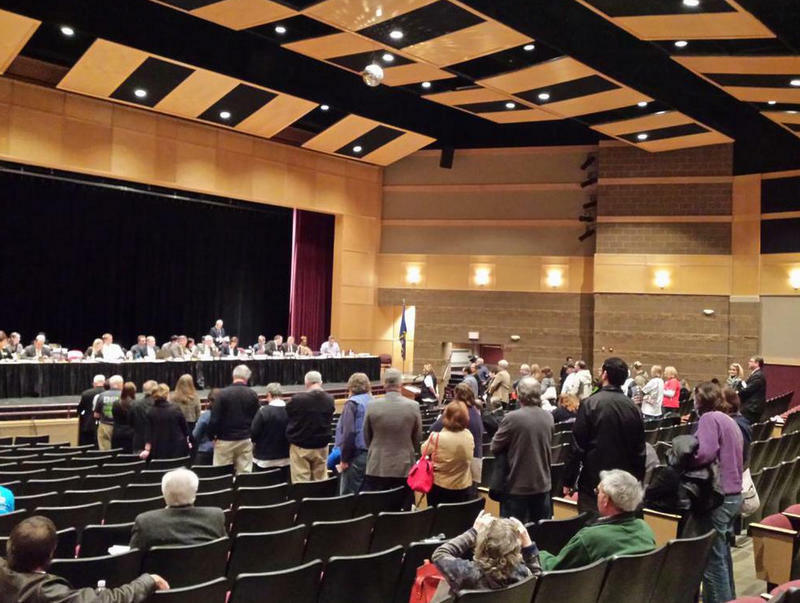 The first public hearing on the proposed 2015-2017 state budget was held in Brillion--a small town in northeastern Wisconsin. For about seven hours straight, people filed up to one of two mics set up in the auditorium of the high school. Several hundred people gathered at MATC in downtown Milwaukee Wednesday night to rally against Gov. Scott Walker’s cuts to public education. The event coincided with a speech from former Assistant U. S. Education Secretary Diane Ravitch. She’s an outspoken opponent of voucher schools. 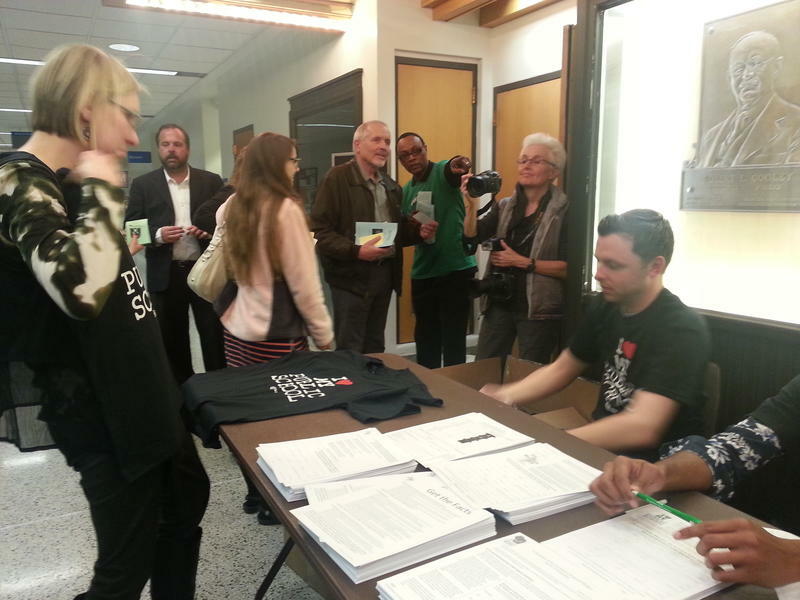 The rally served as a warm-up to Friday’s public hearing in Milwaukee on the proposed state budget. 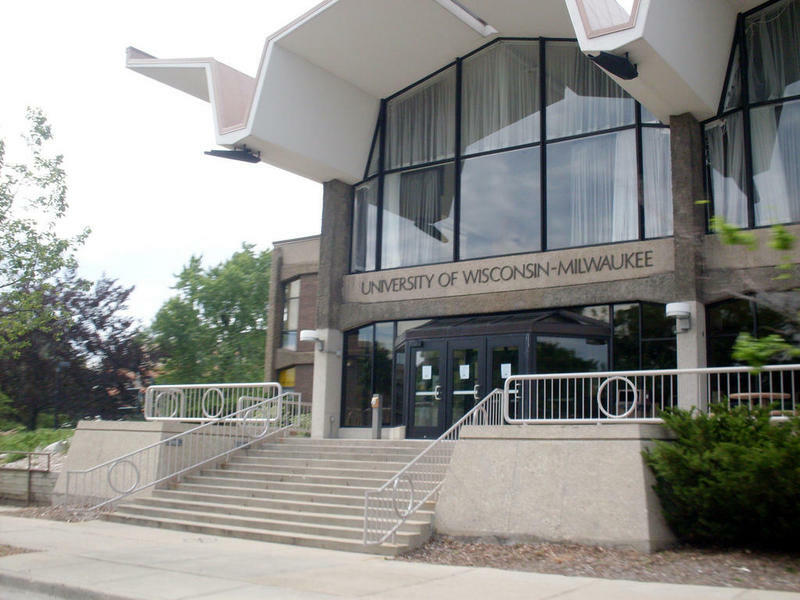 The University of Wisconsin - Milwaukee and its neighbors were shocked to learn Gov. 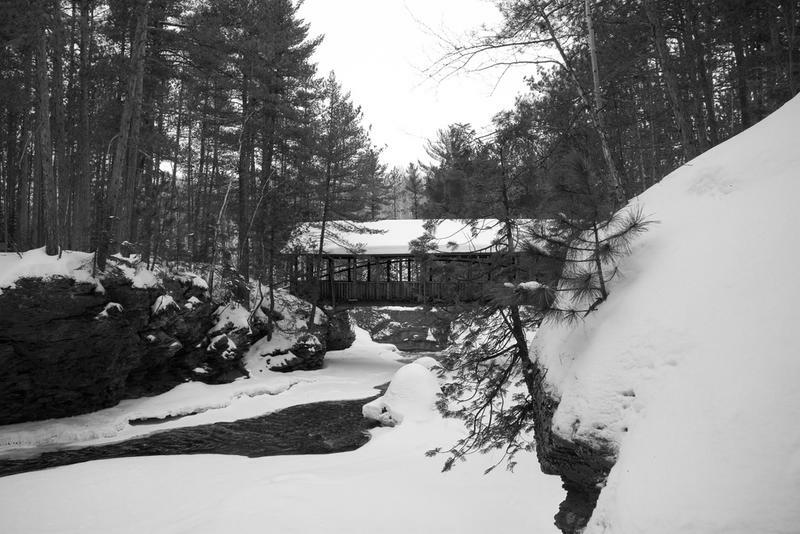 Walker’s biennial budget would remove state protections for Downer Woods, an 11-acre preserve on campus. 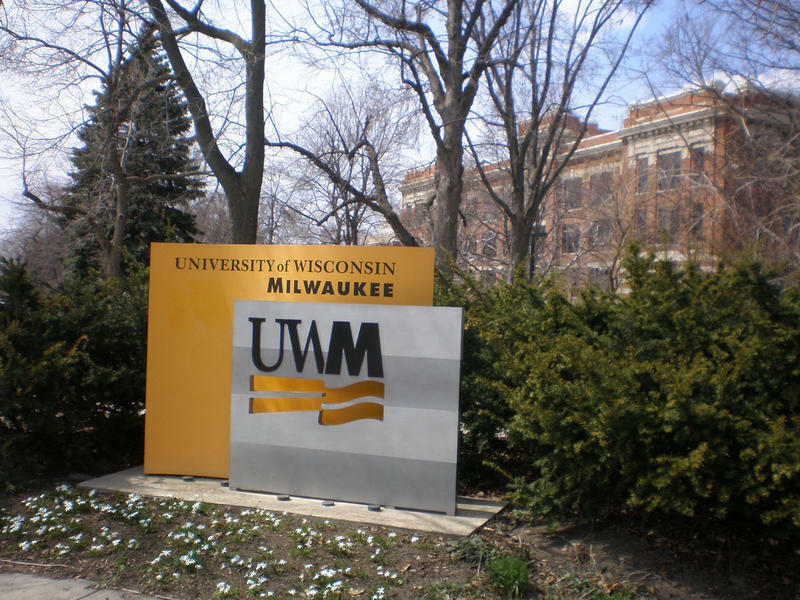 Vice Chancellor of University Relations and Communications Tom Luljak says UWM did not ask for the changes included in the governor's budget proposal. 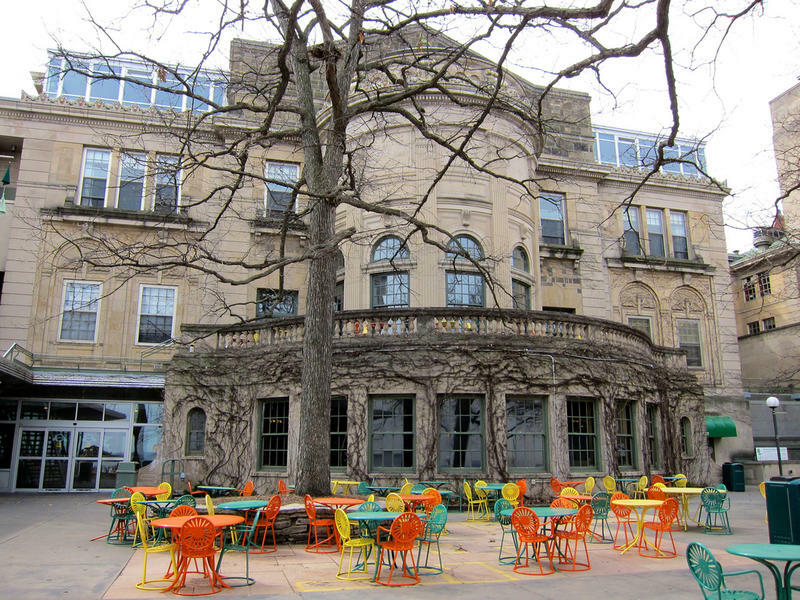 Leaders assume that the protections state law has provided for the woods would be transferred to the UW Board of Regents - UWM's governing body. Mitch Teich with Nancy Gapinski of Glendale and Julie Burish of Brookfield, members of "Save IRIS." Battle lines are being drawn over portions of Governor Walker’s proposed budget for the coming two years. Gov. 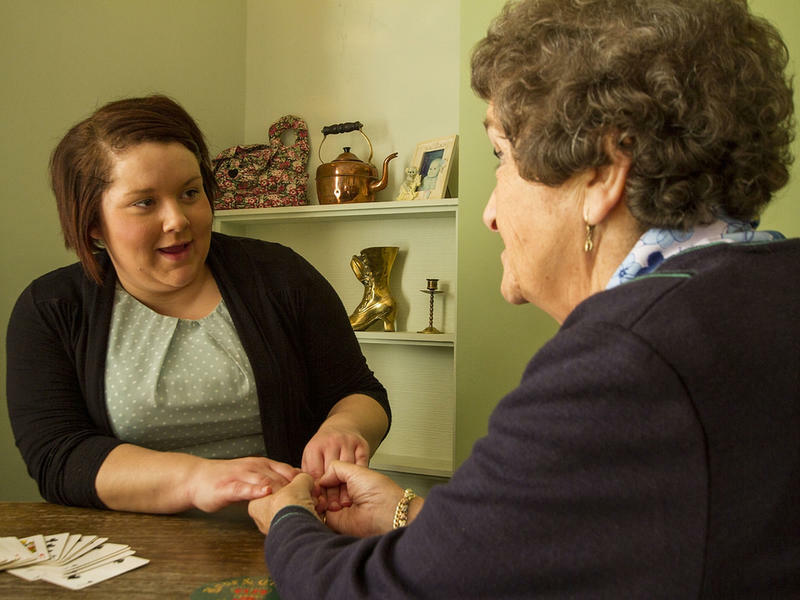 Walker’s proposed budget would change the way thousands of Wisconsin families get care for an elderly loved one, or a member with disabilities. 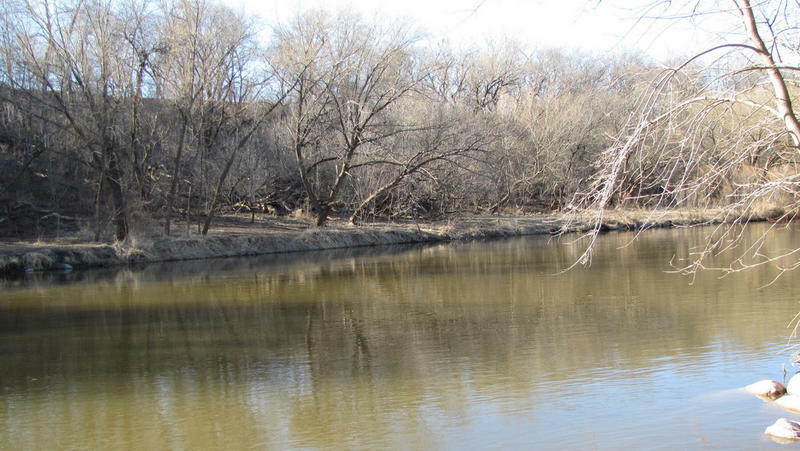 Biennial Budget: State Parks with Private Sponsors? There’s a chance your favorite state park could someday be “brought to you by” a private company.